One of the worst mistakes you can make as a public speaker is talking too long. Not only will you send some folks to never, never land, you will make some of them downright mad. It doesn't matter if your entire speech was brilliant and the audience came away with information that will change their lives. If you talk too long, they will leave saying, "That speaker just wouldn't quit." Don't let this happen to you! Say what you have to say and sit down. Before you do, give them a well thought out closing. The last thing you say may be the most remembered. You must put as much time into selecting and practicing your closing as you put into any other part of your presentation. Just like your opening, your closing does not have to be humorous. It could be motivational, challenging, thoughtful, respectful of the length of the presentation, or it could restate your point in a different way. This ending segment will have a strong influence on what the audience takes home with them when you are done. Please, at sometime during your talk ask the audience to do something. Many a great NO ZZZZZs talk went no further than the walls of the meeting room because the audience wasn't moved to action. If you haven't ask them to do something by now, the closing is your last chance. If the subject is appropriate, I happen to be fond of humorous closings for several reasons. If you leave them laughing and applauding, you will exit, but an extremely positive impression about you will remain. Another good reason to leave them laughing is that the room will not be deadly silent as you are walking back to your seat. I hate when that happens. I do love laughter and feeling good; finishing a speech humorously gives me and the audience an opportunity to feel great. Speeches that are for entertainment purposes only should generally leave the audience laughing. Finally, if the subject is not appropriate to end with laughter, you could end with a touching story or quotation that leaves the audience thoughtful and quiet. Even the most serious public speaking subjects can benefit from humor, but the humor should be sprinkled throughout the body of the presentation. Don't put it at the end because closings are powerful and the audience will think your overall attitude toward the subject is flippant. Don't be afraid to use humor when you speak in public. 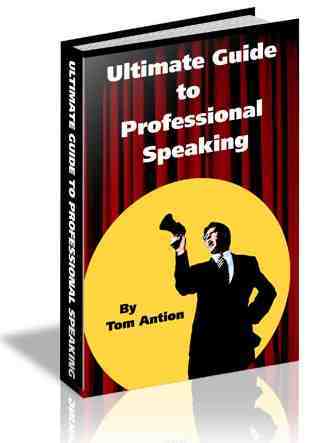 Just make sure you learn to use it in public speaking, appropriately.